“This global program for us is something we continue to expand and utilise to partner with suppliers. We also have some tough goals that we want to have suppliers at gold level or at least at the bronze level or above. 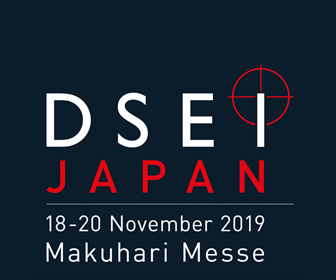 This is something we are partnering with suppliers to improve greatly on both sides and we look forward to having more golden and silver suppliers,” said Paul Smith, Chief Procurement Officer, BAE Systems in an exclusive interview to Aviation & Defence Universe (ADU). ADU. You are visiting New Delhi for the company’s 2nd edition of Supplier Summit. Is it a summit for the global or local suppliers? And is this independent of Indian orders? PS. 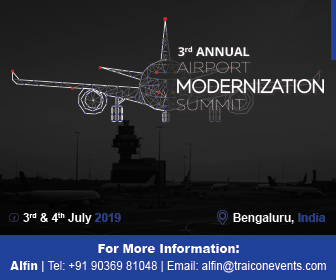 Reinforcing our commitment of supporting the Indian economy and building a capability of Indian suppliers, we are excited to host the second edition of our annual Suppliers Summit in the country. 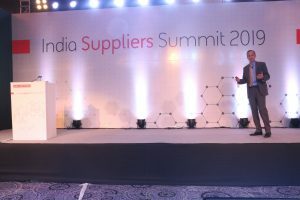 The Summit is for local and global suppliers that operate in India and internationally. The event has been a great success for us. Last year, we saw a great gathering of various companies, large and small and this year it has grown even further. We have over 100 suppliers as part of our supply chain today. 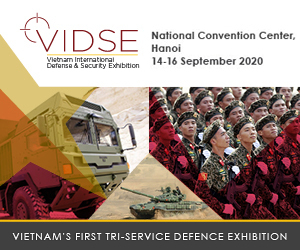 The Summit serves as an ideal platform for us to engage with our suppliers and partners. At the same time, it also helps them to network and interact with each other and build a true supply chain. ADU. What are the parameters for choosing Indian suppliers in BAE Systems? PS. BAE Systems follows a standard process for selecting suppliers and ensuring quality across the world. So, the parameters for choosing suppliers here in India are the same to the ones that we have worldwide. The key parameters for getting qualified for our supply chain includes quality, the ability to make a quality product, capacity to deliver on time and support around cycle time. Apart from these, the suppliers have to clear our compliance process. As part of our due-diligence, we have a series of rules that are in line with our suppliers’ principles. Moreover, we ensure that our existing suppliers also go through a rigorous qualification process on the individual components or assemblies that they are making. So, while they may be suppliers on our suppliers’ master file, they have to be suppliers capable of making individual product as well. ADU. 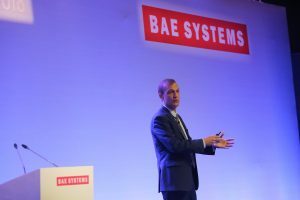 BAE Systems manages global supply chain worth how much? PS. BAE Systems currently spends US $12 billion each year with 21,000 external suppliers worldwide and considers India a key growth market to further expand its network. We purchase a great deal from the US and the UK but we are now also purchasing far more in India and other places in the world. It’s truly a global supply chain. We have a global supply chain team, that’s there in each of these countries to support and partner with the suppliers. So, it’s something that is complex but it’s a series of partners that work very well with us and help support our customers. Our partner 2-win program has greatly expanded since the last year. BAE Systems has over 2100 suppliers globally that run the program. The key with ‘Partner 2 win’ program is that it measures the quality and delivery of the suppliers. Our goal is to achieve a 100% on-time delivery from the supplier and a 100% quality. The keyword here is ‘Partner’. The supplier here is to ask questions to understand our drawings and our specifications. It’s really a two-way street for both the supplier and BAE Systems to work together. The goal is to reach ‘100%’ and when a supplier can reach a 100% for delivery and quality over 12 months, we consider them to be a Gold supplier. 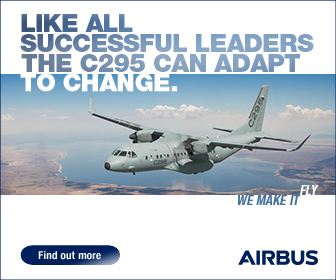 And this is really a tough achievement for a supplier to reach. Roughly, globally only one in five suppliers at any one time are gold suppliers. It has been a great program for us. On top of it, just last week I was in New Hampshire for our Electronics Systems business. We were able to celebrate the Gold award for Kineco Kaman Composites India. This is a great award for the supplier which has had a perfect performance. ADU. What is your strategy for supply chain optimisation? PS. Supply Chain optimisation is about managing quality and delivery. We have programs such as Partner 2 Win, that measures quality and delivery. Our intention is for us to work in partnership with our suppliers in order to achieve a 100% quality and on time delivery within a year. ADU. How do you ensure that the supply chain function utilises the best commercial practices and established processes for beneficial contract placement and logistics management? PS. At BAE Systems, we work with suppliers who embrace standards of ethical behaviour consistent with our own. To clarify what we expect from our suppliers and their supply chains, we have developed the Supplier Principles – Guidance for Responsible Business, which reflects the standards we set for our own Board and employees. 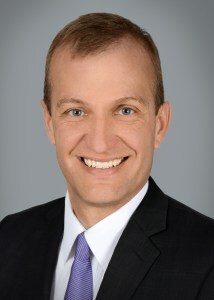 Potential new suppliers are assessed using the Supplier Principles as a risk management framework, and such assessment is included as an integral part of our normal supplier evaluation, due diligence, request for information, request for proposal, pre-qualification, selection, and approval processes. Existing suppliers are assessed against the Supplier Principles as part of on-going supplier management, due diligence monitoring, assurance and audits as appropriate. Revised commercial clauses, referencing the Supplier Principles, are also being added to our Standard Conditions of Purchase for the jurisdictions in which we operate. 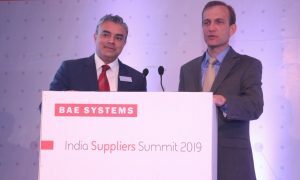 Nik Khanna, MD, India BAE Systems & Paul Smith, Chief Procurement Officer, BAE Systems addressing the company’s 2nd edition of Suppliers Summit in New Delhi . ADU. How is culture, collaboration and change managed within complex supply chain environments like yours? PS. Culture and change management is important to us. We believe, the couple of key words that we live by are “partner” and “partnership”. Crucial here is to provide suppliers with a comfortable and transparent environment, where the suppliers can ask each other questions and have them answered as well. Similarly, we can do the same too. From a culture standpoint, we greatly believe in outside visits and interacting personally at each of the sides. We trust that this streamlines and smoothens the communication between two parties. In addition to delivery and quality, competiveness is equally important. We partner with the suppliers to get their ideas as well as share our own about what can make us the most competitive. It’s important to balance that cost to achieve the right quality and to achieve right delivery in complaint manner. ADU. How important is skill as a real issue across the supply chain? PS. We are not only training our personnel but also working with various companies and universities around Supply chain. It is difficult to easily find people that understand manufacturing, quality and at the same time are capable of handling commercial negotiations and government contacts. We are fortunate enough to have a great number of highly skilled professional people within BAE Systems. We utilise them to mentor new entrants. Also, we have introduced some key training programs including leadership program for people, who are at initial stages of their career/new entrants. We have a leadership programme which is geared towards people, who have just started began their careers. We provide them a project to work on and support it with mentorship. Also, I believe it is imperative to foster new entrants in the industry, especially in supply chain in procurement. Additionally, we have a concept of ‘Open jobs’ across businesses. This serves as a window for various cross-functional teams to get a view of everyone’s work, thereby motivating them to grow their career within BAE Systems. ADU. Creation of supplier rationalization strategies which flow down into execution and mitigation activities also a part of your work profile? If so how do you manage such a global chain? PS. Supplier rationalisation is important for us. With 21,000 suppliers as part of our supply chain, we continue to simplify our supply chain. Sometimes, that involves reducing the number of suppliers. We want to maintain a great deal of competitiveness. However, we also find that with rationalisation, processes can be simplified and certainly brought to speed, thereby enabling us to be more cost competitive.